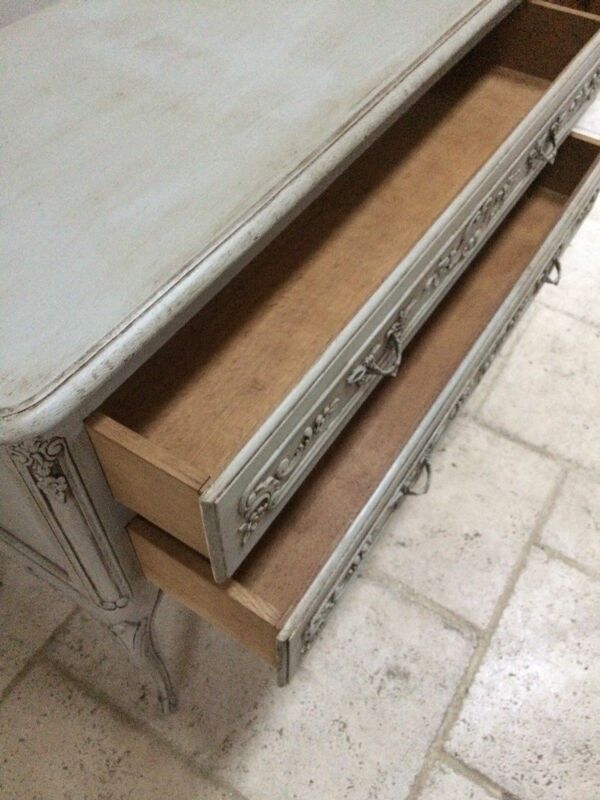 Charming French Louis Style solid oak chest of drawers. 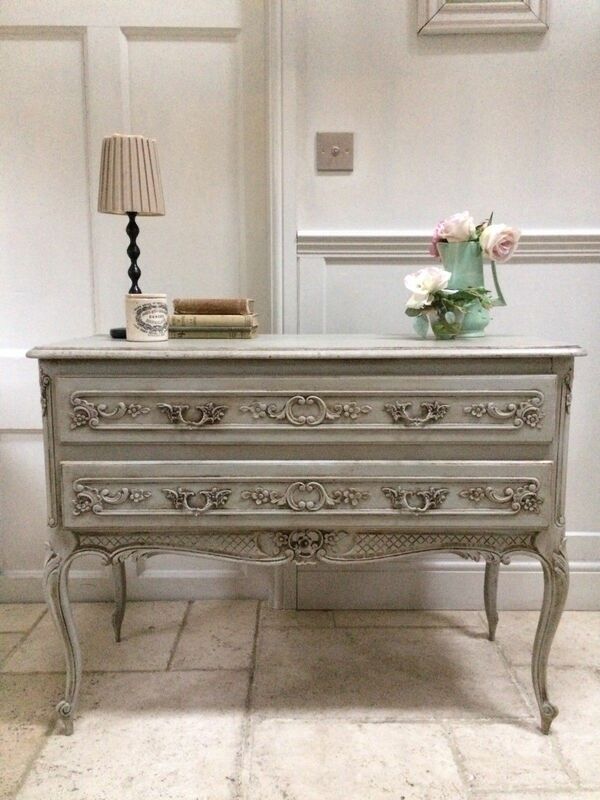 Would also work well as a hall console type table or small desk, although obviously you couldn't fit legs under it. In good used condition. The drawers are in good working order. 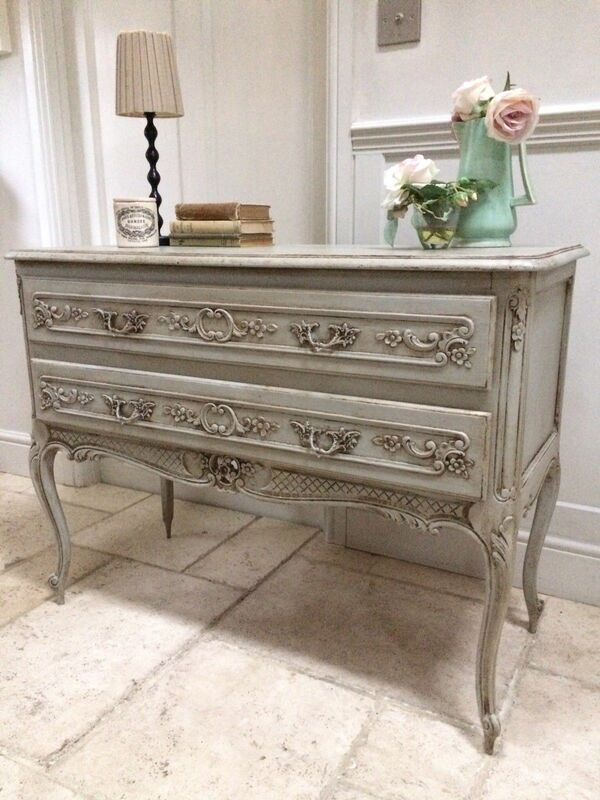 The Chest has been freshly painted in Annie Sloan ' Paris Grey ' Chalk Paint. 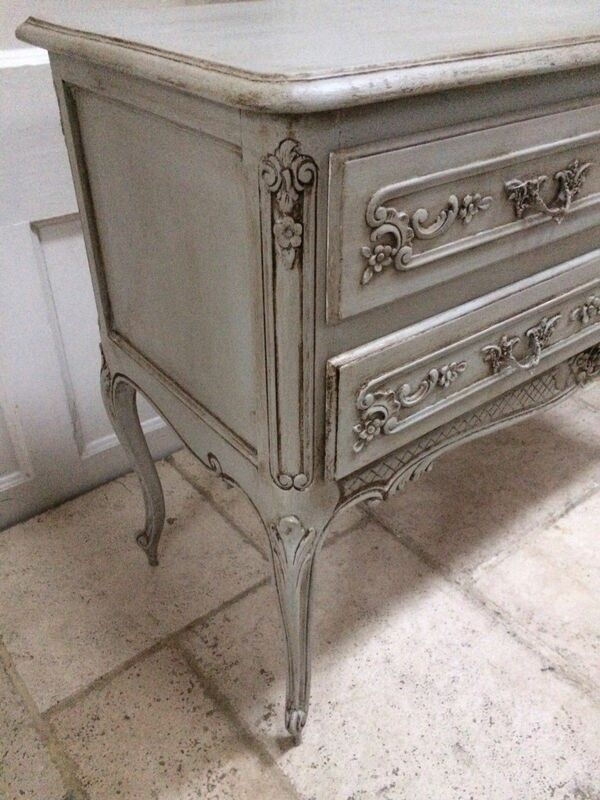 The paint finish has been waxed with clear and dark wax to provide a lovely aged look and durable finish. 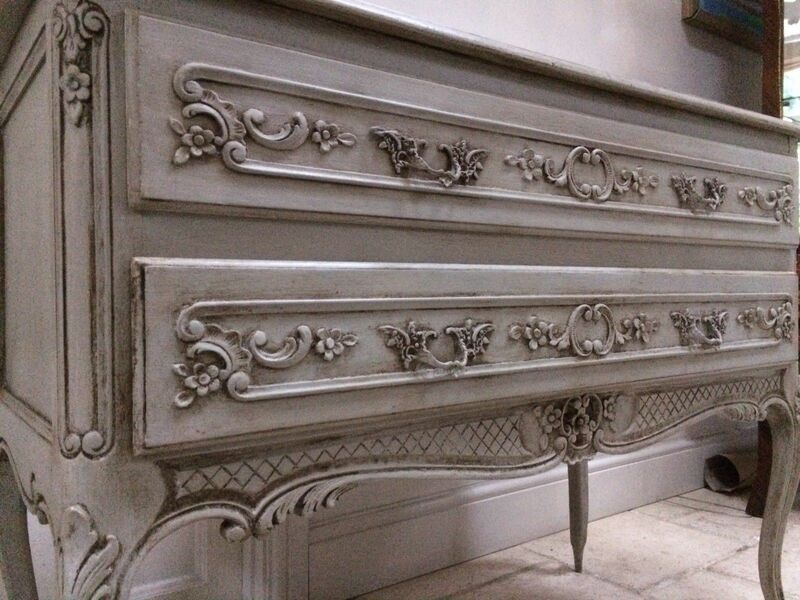 We have other bedroom items listed that would sit well with this item, please view our other items if this might be of interest.